Associate Professor Saurabh Kumar has won a Ramaciotti Award for biomedical research. Associate Professor Saurabh Kumar from Western Sydney Local Health District (WSLHD) has won a Ramaciotti Award and $150,000 in grant money for biomedical research. This year more than $780,000 was distributed to seven biomedical researchers. The inaugural Derek Hart Memorial Award was also awarded to Professor Kumar for his research into the management of patients with life threatening heart rhythm disorders. Approximately 15,000 Australians die from cardiac arrest each year. Cardiac arrest is caused by heart rhythm disturbances called ventricular tachycardia (VT). Cardiac electrical storm (ES) is a life-threatening condition where patients experience repeated episodes of a heart rhythm disorder called ventricular tachycardia. Treatment is with strong doses of anti-arrhythmic drugs or to perform a cardiac keyhole procedure ablation known to be highly effective in curing ES. “This randomised clinical trial will examine if cardiac ablation performed within 24 hours of ES presentation is superior to the standard treatment with anti-arrhythmic drugs,” Professor Kumar said. 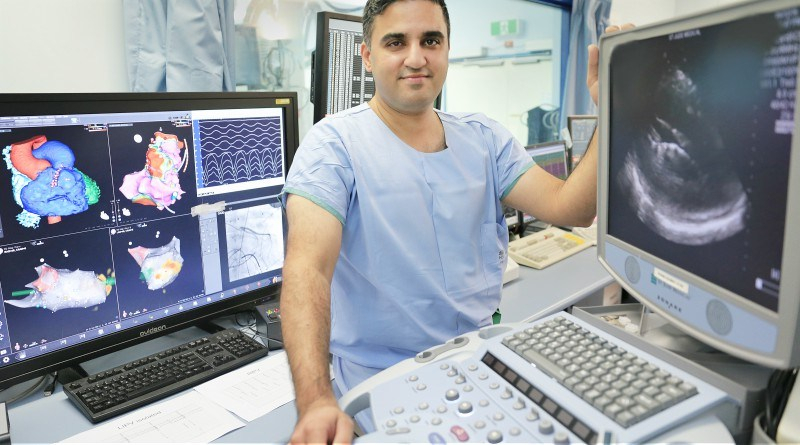 The Ventricular Arrhythmia and Sudden Death program at Westmead is one of the largest clinical and research programs in Australia. The program comprises of a dynamic team of basic scientists, engineers, cardiac physiologists, nurses, anaesthetists and cardiologists working together on research spanning from basic science to translational research, population health, health economic evaluation and clinical trials.